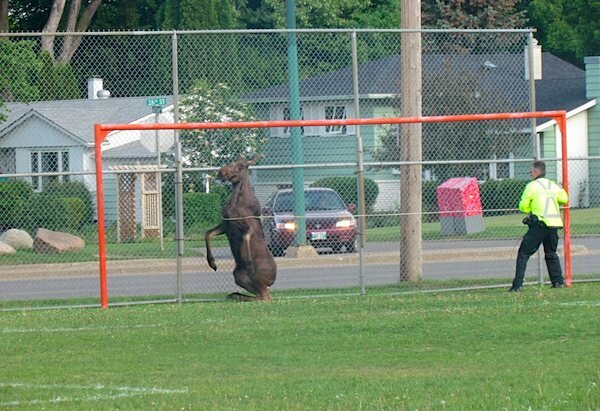 Two moose ran amok in a Brandon schoolyard Wednesday before being tranquilized by animal control officers. The pair, a male and female, were located in the J.R. Reid School yard before classes began Wednesday morning. Brandon police contained the animals while waiting for Manitoba Conservation to arrive. The pair were tranquilized and loaded onto a trailer to be released south of the city.